The next London-UK Grasshopper Group meeting (organized by Arthur Mamou-Mani, SimplyRhino UK) will take place at Robofold's studio and production facility in Herne Hill, London, on Wednesday, June 26th from 18h30. Gregory Epps (RoboFold founder) and Florent Michel (RoboFold developer) will present a recent project, and how they used Grasshopper for the design to production workflow. RoboFold projects typically take client designs, and develop parametric tools for the translation of design ideas into manufacturable objects. The design development stages are complemented by CAM tools - Grasshopper plugins to output to CNC routers and robots - developed in-house and extended on a project by project basis. This has included implementing live baking, multithreading, CAM, robotics, the Godzilla timeline for the G interface, optimizing attractor systems and of course folding. 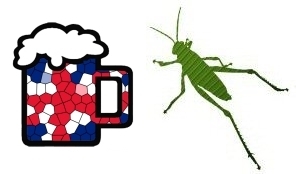 This Grasshopper User Meeting will also be a chance for an informal discussion about your experiences using Grasshopper, and where you see Grasshopper in the future. Please bring your ideas and experiences. What new features do you need, e.g. loops? How does Grasshopper programming compare to other approaches? Would you like to be able to automatically compile definitions into components? What are your problems? What particular features or approaches would you like to see? The big picture is that Grasshopper is a great prototyping tool but what are limitations as it grows - and how can we help shape its future?